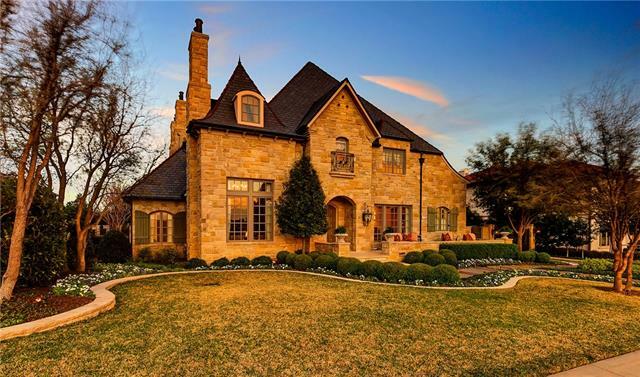 Always on the look-out for that rarity — a new build we can love — I was thrilled to discover that former Fort Worth Magazine Dream Home at 3824 River Hills View Drive was listed this Tuesday. The handsome Mediterranean sits on a large third-of-an-acre lot in the first phase of the thoughtfully realized Riverhills community in Edwards Ranch. We’ve been here before. It’s difficult to overlook a community of well-constructed new houses that achieve opulence without ostentation, mere minutes from upscale Waterside retail and the shops at Clearfork. Remember symmetry? The impressive elevation is composed of forceful stepped-and-balanced blocks under tiled Italianate eaves. It harkens back to an earlier era and should gracefully bear the test of time. Do you yearn for new construction with old school quality? Something grand, not grandiose, surrounded by similar properties? A spacious-yet-sensible plan and not a McMansion clone? River Hills, part of the interesting and evolving Edwards Ranch story, may be your answer. Founded in 1848, Edwards Ranch is older than Fort Worth itself. Now it is the locus for the most exciting new developments in the city. 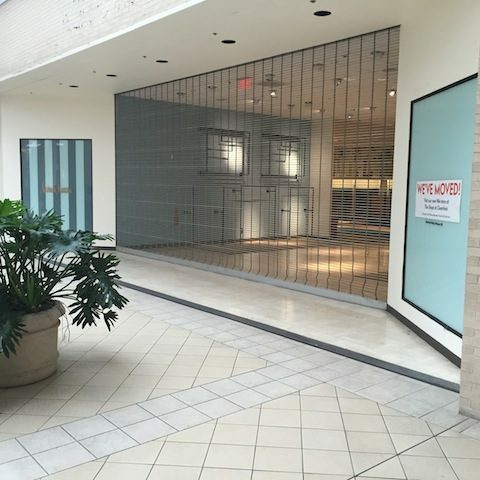 It includes River Hills, the Waterside retail development, and the Shops at Clearfork, anchored by the new Neiman Marcus. The weight and force of all of this development, together with the energetic rejuvenation of the Near South Side, is generating a gravitational pull which challenges the heretofore uncontested hegemony of the West Side. The truth is that I have been longing to write about River Hills for some time, and prowl the area from time to time. This week I stumbled onto 3737 Aviemore a stone revetted, manorial abode, perched on a high bluff built in 2009. The street is romantically named after a resort in the highlands of Scottland and as north Texas goes, the area is hilly. 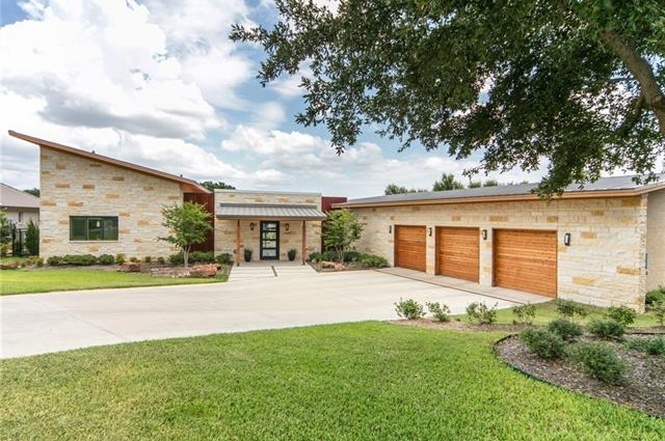 If 3849 Riverhills View Drive in the River Hills addition looks strangely familiar, it’s because this architectural gem appeared in our coverage of last years’ annual Fort Worth AIA tour. 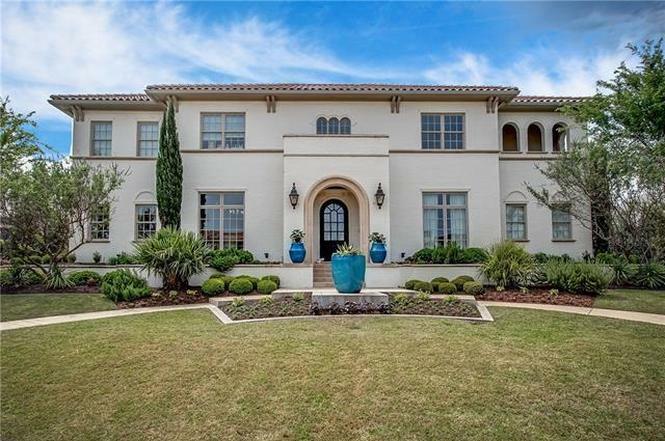 Well known for an extensive portfolio of high-profile commercial and civic commissions, including the gates and addition to Will Rogers Arena, Caruth Hall at SMU, and the Beth El Congregation, this house is a rare residential project by the firm of Hahnfeld Hoffer Stanford.